Vine Training Systems: mainly spurred cordon, alberello and guyot bush. Refinement: at least 1 year. Colour: intense and profound ruby red, tending to change colours towards pomegranate with aging. Nose: An intense and elegant bouquet, mineral, spiced with the wild, leathery notes typical of the Sangiovese, enriched with a pinch of red fruit. 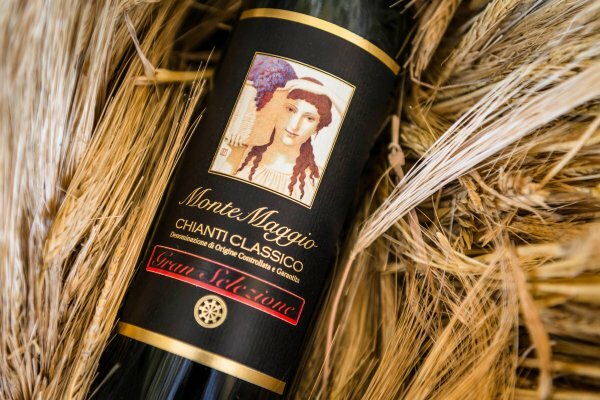 Chianti Classico Gran Selezione di Montemaggio was introduced by Consorzio Chianti Classico a few years ago as a type of wine of excellence at the top of the qualitative pyramid of Chianti Classico wine. 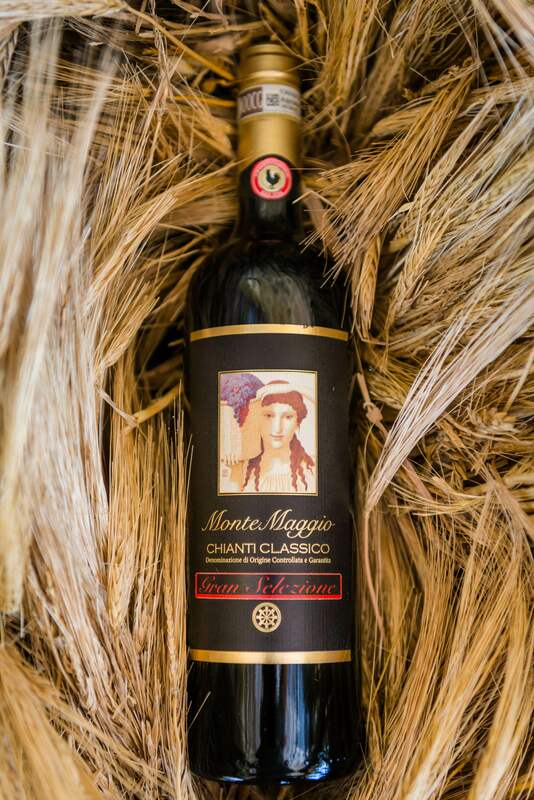 It is a red Tuscan wine produced only during the best harvests and only from the selection of the best Sangiovese grapes (that are left on the plant for longer) in the highest part of the oldest vineyards of Montemaggio. Fermentation lasts for about 30 days at a controlled temperature (less than 26° C) in conical wood trunk vats. Malolactic fermentation then undergoes in stainless steel and wooden vats. Thereafter for about 30 months maturation takes place partially in large barrels (32 Hl) and partially in tonneaux (5 Hl) for the first and second passages.